People in regular employment can always quote their job title, while entrepreneurs often interpret this as an invitation to launch into the elevator pitch for their business. My advice is always to keep it short; the elevator does not get stuck for several hours. For those of us with a portfolio career, a one-line description of what we do can be a challenge. Some people assume I am a journalist. Others know me from speaking at live events, but the soubriquet ‘professional speaker’ does have negative connotations. I sometimes have to provide reassurance that I am not about to launch into a one-hour keynote presentation. Many people are interested in receiving advice on starting or growing their business, so I explain that I am indeed a mentor, though not a coach or a counsellor. I am always happy to offer some quick advice, though I have learned to be wary of those people looking for free consultancy or immediate access to high-quality people in my personal address book. It is true that my life does involve completely different activities every single day. Often referred to as a ‘portfolio career’, this can look very attractive to someone bored with the daily grind of a job in which that they have long since lost interest. Explaining how to go from secure employment to a portfolio career requires a significant change in lifestyle and attitude towards work, so a few years back I was very pleased to meet Katie Ledger, who was hosting a Xerox conference where I delivered a keynote presentation. Ledger co-authored with Barrie Hopson And What Do You Do?, a comprehensive and well-structured book which explains the ten steps towards creating a portfolio career. Ledger’s own career started as a health club manager and personal trainer before launching into a career as a TV presenter in Hong Kong, later joining Channel 5 News and becoming breakfast presenter and royal reporter. Wisely realising that her time in front of camera was stressful and would one day come to an end, she started her own communications business. Ledger’s high public profile secured her first customers, and she soon learned how to build up a network of key influencers to secure a continuing stream of word-of-mouth recommendations. Ledger is now one of the UK’s top business communications coaches. Everyone starting a portfolio career first takes on any job offered and can fall into the trap of trying to be all things to all people. Clients become confused if they receive mixed messages about what you do, and can be wary if you claim to deliver almost everything. Ledger decided to focus specifically on the events she really enjoyed and added the most value, only appearing at events where she is personally involved in the production. 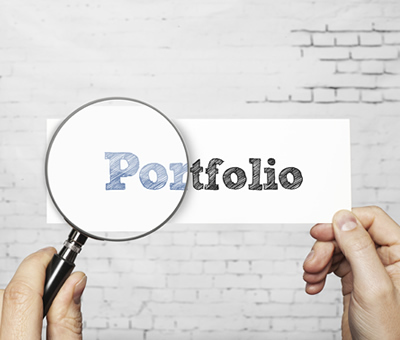 A portfolio career is always a team effort, as it can be a very lonely and dangerous experience, and may not be for everybody. And What Do You Do neatly combines the skill-sets of the two authors, Ledger providing the show business flair and Hopson the organisational structure. I was particularly impressed with the section ‘Love your Accountant’, which explains that dazzling delivery always needs to be balanced by sensible spreadsheets. These are people who seem most embarrassed by the career question at a party, and respond that they are “just a boring accountant”. To successful portfolio careerists, you are deeply fascinating. And What do You Do? is published by A&C Black Publishers Ltd.